Current and future demand for skilled Cement Masons necessitates an apprenticeship program that takes into consideration practices of one of the world’s oldest trades, along with instruction in new techniques, applications, technologies, and materials. The northwest Indiana Cement Mason and Plasterer's Apprenticeship Program supports a world-class curriculum of instruction and on-the-job training for dozens of apprentices annually. Our professional Cement Mason's skills are honed with the most comprehensive apprenticeship training program in the industry. A Cement Mason apprentice can expect an array of classes and on-the-job training to help develop marketable job skills. Complete guidance can be expected during the development of skill, integrity, and subsequently pride of work. Given the diversity of projects, boredom as a cement mason is not likely. What is a Cement Mason? Cement Masons work with concrete, plaster, and epoxy. These skilled trade professionals often work in niche markets which are essential to maintaining the variety and quality of construction projects throughout northwest Indiana. Concrete and its related products are all around you and are often taken for granted. It is the foundation of your home or office, it is used to make the sidewalks and roads that transport you, and it lends its strength and versatility to build piers, abutments, bridge decks, dams, and power plants to light your way. Since most of the work is done outdoors, working conditions are governed by the weather. The work is active and strenuous with most of the work done on the ground or floor level. The Cement Mason's knowledge of materials is essential to the quality of work. They must know the working conditions for various cement and concrete mixes. Because of the effect that ambient temperatures and humidity have on curing the cement, the skilled mason must recognize what is chemically occurring in the cement mixture so that defects can be prevented. Thousands of years after its refinement as a building material, plaster still provides durable interior and exterior walls, it decorates our shopping malls and amusement parks, and it provides fire resistance and durability in our offices and schools. Cement Masons apply plaster and produces a finished surface according to blueprints and architect's specifications using specific hand tools and portable power tools. Skilled Masons spread plaster over lath or masonry base using a trowel and smooths the material with darbies and floats to attain uniform thickness. Masons also apply a variety of other surfaces such as stucco exterior insulation finish systems (EIFS), marblecrete, and gunite for swimming pools. 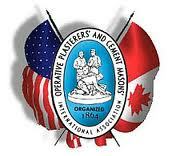 Successful Cement Masons need to be in great physical shape to perform the duties of the trade. It is suggested students have a fundamental understanding of high school math, basic algebra, and chemistry. The ability to estimate and compute area measurements quickly and accurately is recommended. Written and verbal communication skills are also essential in the trade.